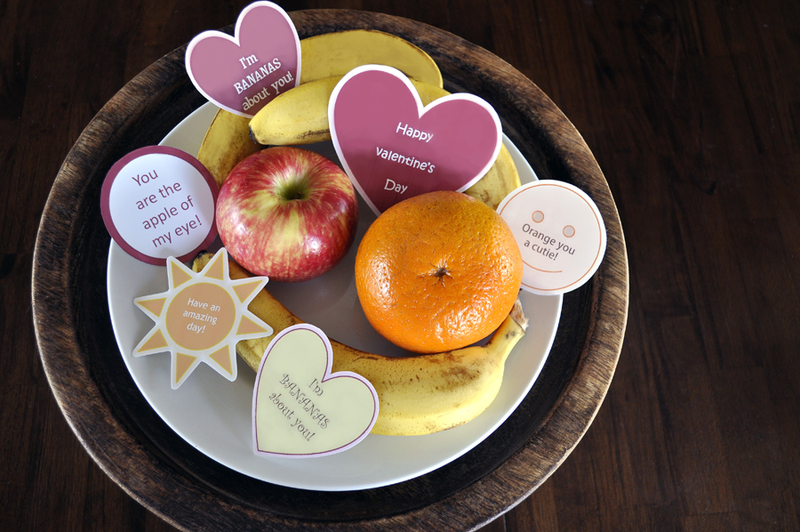 Add love notes to your fruit bowl or child's lunch box today, this week, or any day you want to lovingly encourage healthy snack choices. 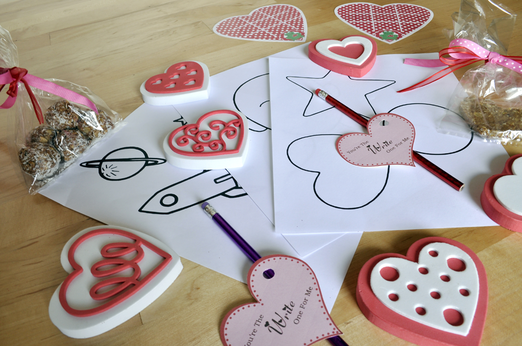 Click Here to print the Love Notes! 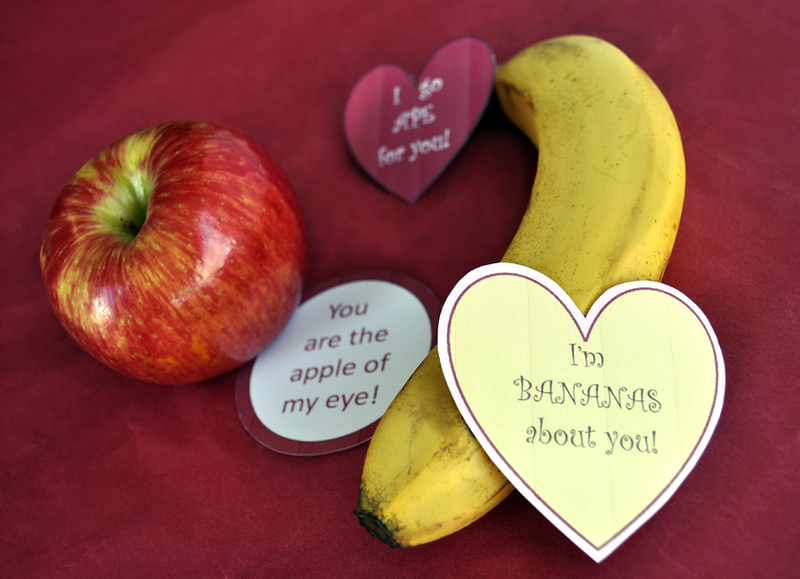 A fun & healthy way to celebrate the holiday with an art project that can be filled with free, fun printables and healthy snack foods. Use the 20-20-20 rule for kids (and grown-ups!) for eye health. Look away from computer screens and video games every 20 minutes, at a spot 20 feet away, for 20 seconds. 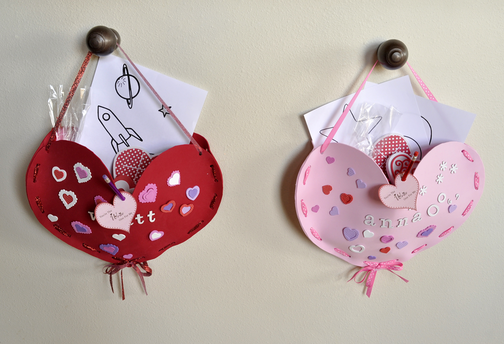 Step one of the valentine project showed a step-by-step process for how to make the heart pockets. Part two will now provide some great ideas of what to fill them with that won't cause cavities.